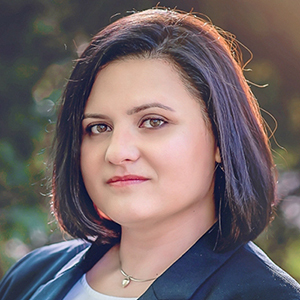 Slavena Hristova is Director of Product Marketing, FineReader at ABBYY. Hristova leads the global product marketing of the ABBYY FineReader product line. She manages the complete product lifecycle from market requirement and go-to-market strategy development, to sales enablement and training offerings for channel partners. She has several years of experience in product management and marketing in the areas of text recognition, information and document management. ABBYY FineReader is all about empowering information workers to access information both on paper and digital documents with ease and efficiency. Being able to standardize all documents to the PDF format allows better collaboration, less frustration and significant gain in productivity. This session will cover key functionality, use cases, and how to answer customer questions about overall business benefits of the offering. Organizations that haven't adapted to the digital landscape of the paperless office are losing out in the global economy. In this session you will learn about the benefits of transforming paper-based operations into digital processes using FineReader both on individual workplaces and as a central conversion service to reduce wasted time, mitigate frustrations, increase efficiency and work smarter. We will explore the opportunities to use these products within an enterprise and boost productivity for document-centric tasks and processes.